At the time of this writing, it happens to be June 1st - six months from now will be December 1st - Right after Thanksgiving and right before Christmas. Ironically, this is the ramp up of the busiest time of the year in the weight loss industry. That means that six months from right now, a lot of people are going to be sitting on couches and around tables with family and friends feeling uncomfortable and insecure because of their weight. Do you realize how much of a change can happen in just six short months!? Six months is enough time to radically change your entire life. 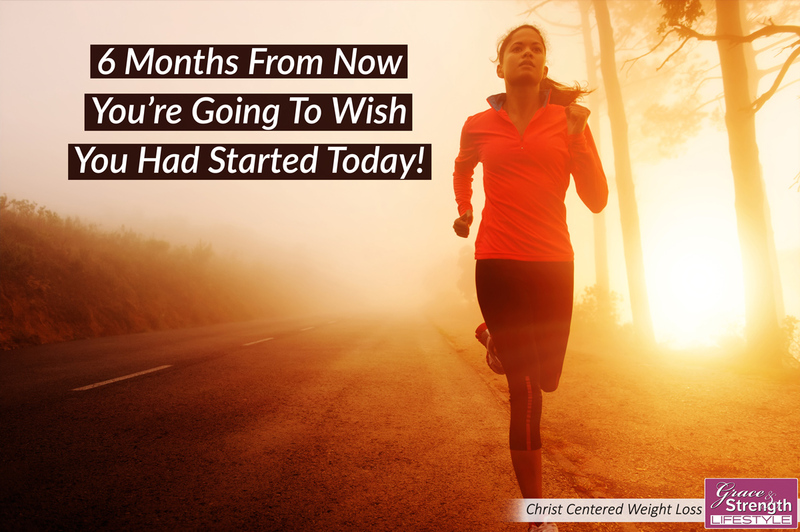 It's enough time to make huge changes physically! Think of how much change you could make in just about any area of your life if you really committed to giving it your best for six short months. Relationally, financially, spiritually, emotionally, and yes... physically. Do something today that your future self will thank you for, because I really can guarantee that six months from now, you're going to wish you had started today. If you see that you're on an unhealthy path physically, don't wait six months for the problem to smack you in the face. Start now! Be the one sitting around the table at Thanksgiving that is inspiring everyone with the awesome life transformation you've experienced. It really can happen, but only if you start today.